In Adam Minter’s article, Testing Traditional Chinese Medicine (Mon, Sept 21, 2015), he discusses the growing popularity of Traditional Chinese herbal medicine in China but fails to address the state of the practice and regulation in this country, only serving to spread fear and misinformation. Chinese herbal medicines are currently regulated under the Dietary Supplement and Health Education Act of 1994 and the Food and Drug Administration has set standards for good manufacturing practices. Batch testing by independent labs includes screenings for pollutants such as pesticides and heavy metals and verifies the accuracy of the ingredients. Endangered species are prohibited in the United States and the FDA has banned several herbs that contain toxins. Chinese herbs in the US contain less pesticide residue than found in the produce department of a local grocery store since herbs containing any amount are generally refused entry. Mr. Minter states that in the 70s acupuncture drew the attention of Westerners but he provides no follow up information to span the 45 years history since James Reston’s famous appendectomy. The US currently has 28,000 licensed acupuncturists with 757 residing in Illinois. The National Certification Commission for Acupuncture and Oriental Medicine, a non-profit board established in 1982, is the standard for licensure in 43 states (including Illinois), 98% of the states that regulate acupuncture. A graduate degree in Oriental medicine takes four years to complete and includes study in biomedical sciences, Chinese herbal medicine and acupuncture modalities including 1000 hours of supervised internship. The expanding body of knowledge in the area of genomics has helped doctors to identify an individual’s likelihood for side effects to medications and proves that some of us just will not tolerate all drugs and need non-pharmacologic alternatives. Traditional Chinese medicine plays a great role in complementing our healthcare system in these areas, delivering low cost, effective and safe treatment. Integrative medicine programs associated with teaching hospitals in this country have embraced acupuncture and Chinese herbal medicine including Mayo and Northshore University Health System. Chinese herbal medicine still enjoys a safety record well beyond that of pharmaceuticals, which are responsible for 100,000 deaths per year in US hospitals due to adverse reactions from properly prescribed medication. Since the 70s and in the last twenty years, research on acupuncture in the US has exploded. The National Institutes of health in a 1997 consensus statement recognized acupuncture’s efficacy for postoperative and chemotherapy nausea and vomiting and in postoperative dental pain and it’s usefulness as an adjunctive or alternative treatment for addiction, stroke rehabilitation, headache, menstrual cramps, tennis elbow, fibromyalgia, myofascial pain, osteoarthritis, low back pain, carpal tunnel syndrome, and asthma. A recent landmark study in the Archives of Internal Medicine in 2012 showed that in 17,922 patients, acupuncture was effective for back and neck pain, osteoarthritis, chronic headache and shoulder pain. Mr. Minter recommends that for TCM to gain legitimacy scientists need to isolate compounds to make them more palatable to the US. While more research on Chinese herbal medicine is welcome, I caution against the reductionist mindset of rendering herbal medicine into isolated compounds. Whole plants (and yes, sometimes animal products are employed) offer a matrix of molecules and cofactors that often have synergistic and protective benefits. Stripping these away in favor of a single isolated compound may lead to adverse reactions and decrease efficacy. Researchers have discovered that an herb’s efficacy is not always easily reduced to a single molecule, as much as we might like to be wooed by the simplicity of this approach. Mr. Minter touts the research on artemisinin, a compound isolated from the Chinese herb qinghao in the 1960s for treating malaria. But now parasites are developing resistance to that compound. A recent study by the University of Massachusetts published in the Proceedings of the National Academy of Sciences found that the whole plant, qinghao, cured mice with artemisinin-resistant malaria. This study underscores the strength of traditional whole plant medicine, which ironically has much to offer the treatment-induced issues of our time. Spring has finally arrived in Chicago, reigniting my love of gardening and plants. Licorice is an herb I use everyday in my Evanston acupuncture practice. Glycyrrhiza glabra is a member of the pea family and one of the few Chinese herbs we all recognize. In Chinese medicine it is added to most formulas to harmonize the flavor and increase the efficacy. 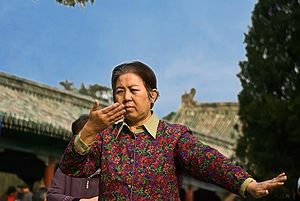 It is a valuable herb in its own right, though in Chinese herbalism we typically use herbs in combination, after careful assessment of a person’s patterns of imbalance. This article is not meant to make you buy a bunch (but maybe try to grow it!) but more, to simply appreciate the diversity and wonderful effects of herbs. I hesitate to call any one herb my favorite because my favorite herb or formula is the one that’s going to be most effective for the person sitting in front of me at any given time. A note about safety: herbs can be very powerful and you can think of their safety in tiers. 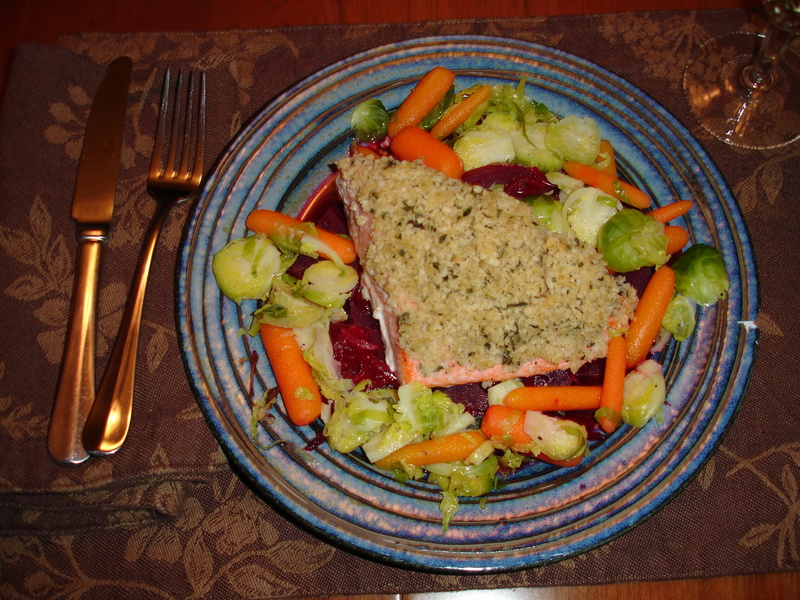 The first tier being food therapy (very safe for everyday use), including culinary herbs and some adaptogens (herbs that help the body adapt to stress). The second is safe in appropriate circumstances. The third is safe only for short periods in specific circumstances and the fourth tier is toxic. I don’t recommend that anyone use herbs on a regular basis in any tier other than the first, unless recommended by a qualified herbalist. Chinese herbal certification at the national level requires 3,000 hours of training, 1,000 hours of internship, the passing of a rigorous test, and continuing education. If your acupuncturist has DiplCH or DiplOM after their name, then she is national board certified. It’s worth noting that not everything natural is safe, but let us put this statement in context. Over 100,000 people die each year of adverse effects of properly prescribed drugs and another 100,000 die each year of hospital acquired infections. Herbs have very few side effects in general when used appropriately and there are many ways in which side effects are prevented by combining herbs into the formula to offset possible harsh effects. One example is to include aromatic or carminative digestive herbs into formulas that contain tonics, which sometimes can be cloying or difficult to digest. Importantly, and unlike with drugs, herbs contain many molecules and may have several beneficial effects on the body, which is why herbs tend to be antiviral, antibacterial, and antifungal. Herbs are living organisms, which, like us, need to fight disease and maintain balance in an often stressful environment and use these compounds to do so. When taking herbs, we benefit from this biological intelligence. Also, because of this multifaceted wholeness, some herbs have built in buffers against side effects. One example, willow bark, used by native Americans for pain, contains natural buffers against the harsh effects on the stomach of the salicylic acid it contains. Salicylic acid is a metabolite of aspirin, well known for it’s side effects of ulcers. But back to licorice. It benefits digestion, moistens the lungs, stops cough and wheezing, moderates spasm and alleviates pain of the legs and abdomen, resolves toxicity and sore throats, moderates and harmonizes herbal formulas. And it’s sweet, fifty times sweeter than sugar. (Of note is that licorice candies seldom contain licorice, but rather anise). Sweet flavored herbs are tonics that strengthen our Qi or vitality and bodily functions. The compound glycyrrhizin is similar in structure to cortisone. This may explain, in part, why it can help when the adrenal function becomes sluggish after prolonged stress. It may also be used topically for eczema and orally for chronic gum infections. Licorice in a large prolonged dose can raise blood pressure. 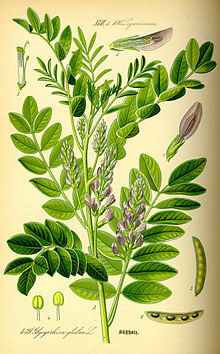 In Chinese herbal formulas licorice is used in small enough doses not to raise blood pressure. This is another benefit of compound herbal formulas. Using many herbs and capitalizing on synergistic functions allows the herbalist to use smaller doses of each herb and further reduce the potential for side effects. Though it is commonly used in Western herbalism as a single herb for reflux and is phenomenally effective. I have had many patients avoid drugs for reflux by chewing on DGL (deglycyrrhized licorice, in which glycyrrhizin which may raise blood pressure is removed). Unlike antacids, it doesn’t neutralize your stomach acid but helps heal the mucosal lining, has anti-histamine effects and improves digestive function. Licorice plays a starring role in one Chinese formula in particular: Licorice and Jujube, aka Gan Mai Da Zao Tang, which contains licorice, jujube (Chinese date), and triticale wheat. I’ve had many successes using this formula when appropriate for the individual patient for mood swings, anxiety, fatigue, palpitations and insomnia. Growing it: I haven’t attempted it yet but here’s info from Rodale’s new herbal written by the ethnobotanist Michael Balick, a great source for the lay herb enthusiast: Licorice grows in full sun, and rich, moist sandy loam. Plant cuttings or divisions in early spring or late fall and water frequently until established. After 3 years roots are ready to harvest. Dry the roots for 6 months in a dark, dry location. 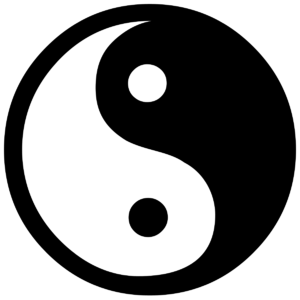 Yin and Yang are the dualistic interdependent forces found in nature that we experience everyday such as the solstice when dark yeilds to light. 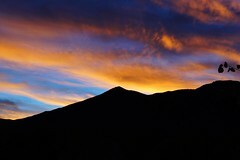 If we stand back and look at the year as a whole we see that the light balances out the dark and vice versa. This philosophy gives one perspective that “this too shall pass.” The bad times will pass, the good times also will be transient. So let us be present to experience ‘what is’ in a non-judgemental way. Let us not get too dragged down by the bad nor too dependent on the good for our happiness. Let us cultivate a middle path where we can walk unharmed by such emotional swings. Let us relax that if our toddler eats only grapes today, he may eat only meat tomorrow and only noodles the next day and it will all eventually be ok. Balance will come over time if not all in a day. Happy Solstice! Poster Presentation of Traditional Chinese Medicine Treatment for Fertility! This October I will be presenting a poster at the International Congress for Clinicians in Complementary and Integrative Medicine (icccim.org) on Integrative Treatment Approaches for Fertility with Traditional Chinese Medicine. It is the first annual conference put on by the Consortium of Academic Health Centers for Integrative Medicine and it will be right here in downtown Chicago! Which means I get to go to the conference and also not miss Halloween with my family peeps. Work/family balance being one of my ongoing endeavors. This also means I will get to educate many U of AZ Integrative Medicine Fellowship-trained physicians on how acupuncture can help their patients and help them understand how and when to refer. I am excited to be co-presenting with Dr. Geeta-Maker Clark, a lovely and brilliant Integrative medicine physician in Evanston.